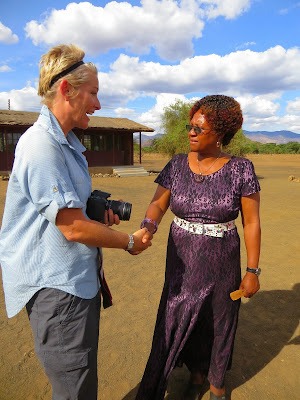 Thursday October 24, 2013 marked a very exciting day for Campi ya Kanzi, and the Maasai Wilderness Conservation Trust! We have had two guests, Elizabeth and Ramsey, staying with us here at Kanzi for the past week. Elizabeth found Campi ya Kanzi and the Maasai Wilderness Conservation Trust due to her extreme passion of understanding the elephant poaching epidemic, along with its effects in Kenya. 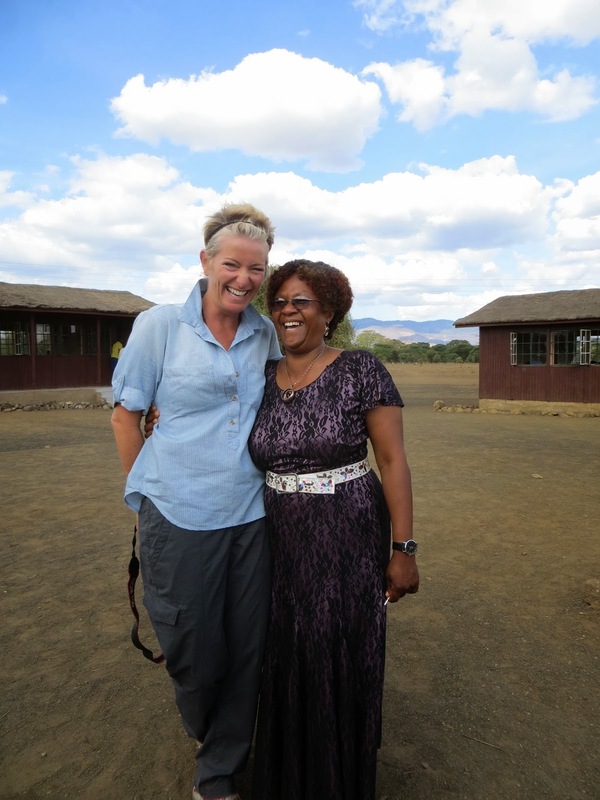 Her mission to be of aid to the elephants of Kenya is inspiring, and if you are interested in learning more about her story, please visit her blog here. Samson with the unbelievable donation of school supplies! Before Elizabeth and her husband Ramsey made the journey to Kenya from the United States, Elizabeth hosted a gathering in her home. Twenty-seven women gathered to learn through Elizabeth about the elephant poaching crisis in Kenya, in regards to the ivory demands and its everlasting negative effects on the species and to the ecosystem. Elizabeth also shared with these women the information that she gathered from conservation trusts that are key stakeholders in the elimination of elephant poaching - the Maasai Wilderness Conservation Trust being one of them. Elizabeth also provided those in attendance of her presentation a donation request list. 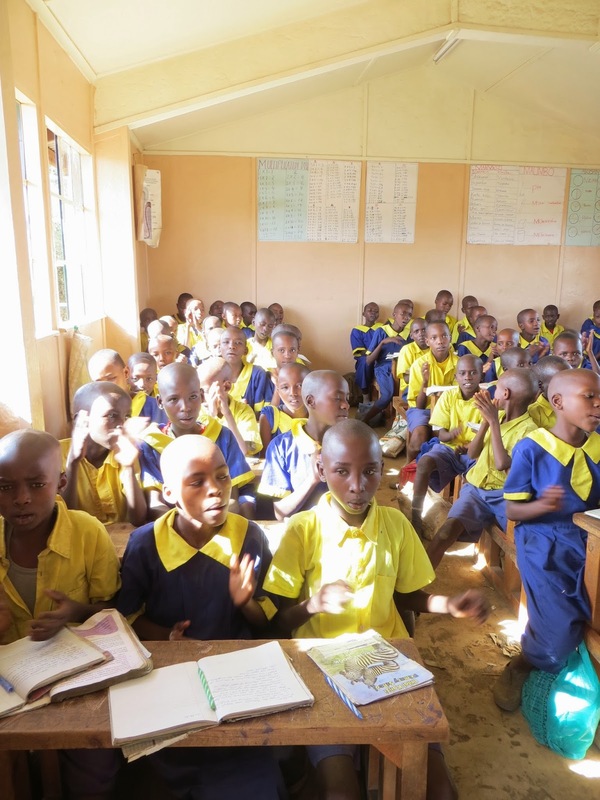 The purpose of these donations would be to support the Education Program of the Maasai Wilderness Conservation Trust, and more specifically, The Kanzi Academy. We cannot express enough gratitude to Elizabeth and Ramsey, for not only travelling across the world with 3 massive bags of school supplies, but for expressing such support and gratitude towards our programs here, and for inspiring immense generosity in others. 2 560 pieces of construction paper, 2 160 pieces of notebook paper, 1 204 crayons, 362 regular pencils, 170 coloured pencils, 136 colour markers, 100 stickers, 99 erasers, 88 glue sticks, 80 pencil sharpeners, 75 dry erase markets, 69 ballpoint pens, 21 sets of math flashcards, 20 pairs of scissors, 13 rulers, 11 pencil cases, 8 alphabet flash cards, 7 letter practice pads, 6 paint sets, 5 nature, science, space, history reference books, 5 sets color & shape flash cards, 5 puzzle and crossword books, 4 dry erase learning boards, 4 calculator sets, 2 backpacks. 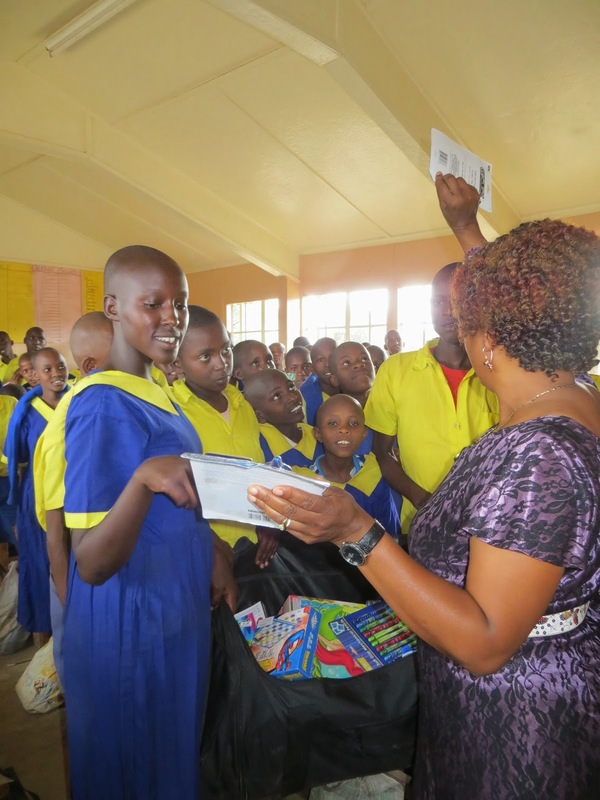 Due to the overwhelming amount of supplies, it was believed it would be most beneficial if the supplies were split between four different schools within Kuku Group Ranch. One of these schools being the Iltilal Primary School. This school, with 861 school children from grades Nursery - Grade 8, were extremely welcoming to Elizabeth as she brought along a large bag of school supplies on her visit! 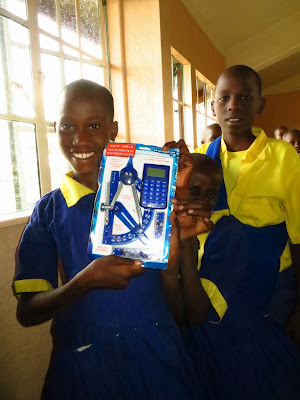 School children in Grade 6 beam with excitement when catching a glimpse of the supplies! The distribution of the rest of the donated school supplies will occur over the next coming weeks! Head teacher Catherine displaying some of the items to her class! The Grade 4 class sang for us before we left! Asante! 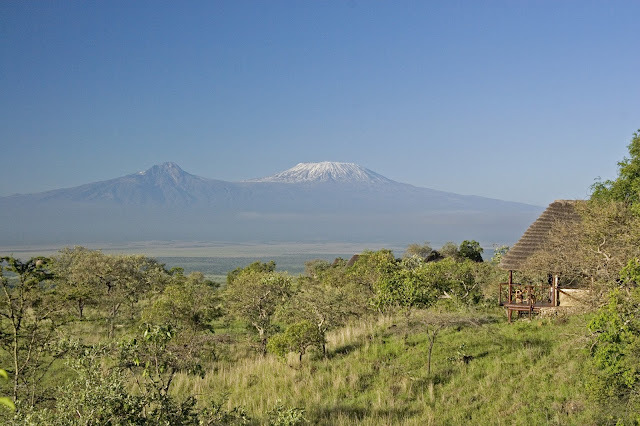 The generosity of our guests at Campi ya Kanzi is immensely appreciated. Asante sana Elizabeth and Ramsey, your donation and support has contributed to the aim and objectives of the partnership between Campi ya Kanzi and the Maasai Wilderness Conservation Trust and we are forever grateful! 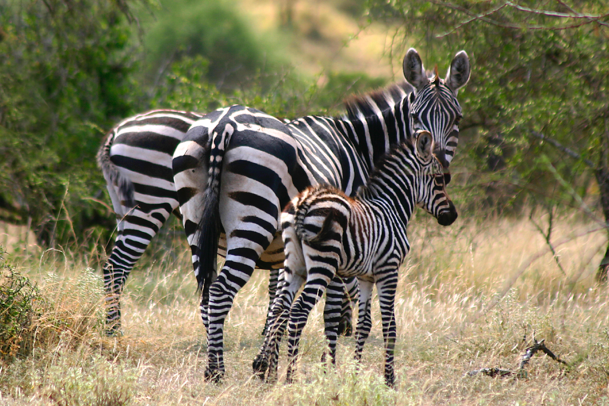 Zebra steaks to protect wildlife and benefit indigenous communities?